Revitalise and renew tired skin with a blend of watermelon extract and vitamin C; replenish skin with wild carrot, rich in collagen boosting Vitamin A, in a buttery intensive night cream; tackle the visible signs of ageing and brighten your skin tone with a cult classic super serum; and adorn your lips with a sugar, shea butter and sweet almond blend to buff away dull skin and reveal beautiful lips. 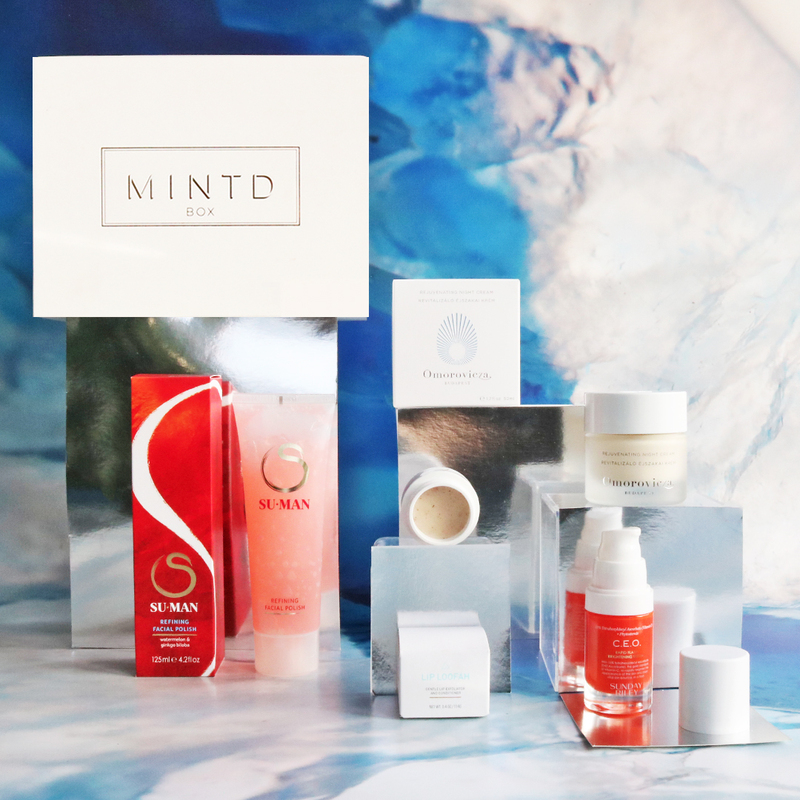 This was my first mintd box, I ordered it for the night cream and was dubious about whether I would like some of the other products. However I fell in love with all of them! The Suman facial polish is perfect for me it leaves my skin so refreshed. I use it everyday rather than the twice a week. The night cream is amazing as I expected it is so hydrating! The lip loofa has literally saved my scabby manky lips! I have tried tonnes of products to get rid of the thick skin on my lips that just dry out so quickly. This has transformed my lips by using it twice a day into soft beautiful pink goodness, I can now wear lipstick without it making my lips look worse! The Sunday Riley serum smells lovely and really brightens my face straight away after one application. 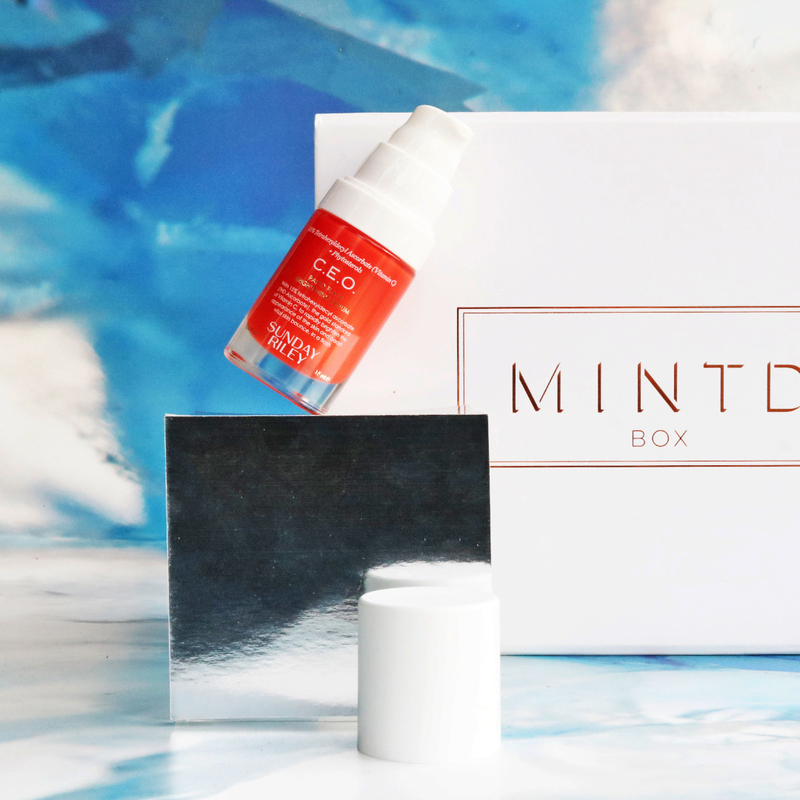 I love every product in this box and would definitely buy each one individually too! one of my favourite box so far. Sunday Riley great products in general but this one is so nice. Omorovicza night cream the best! Su-man face polish had it before in one of the boxes, very happy it's back again. The lip balm is just wonderful, the grains are very fine leave my lips so soft. 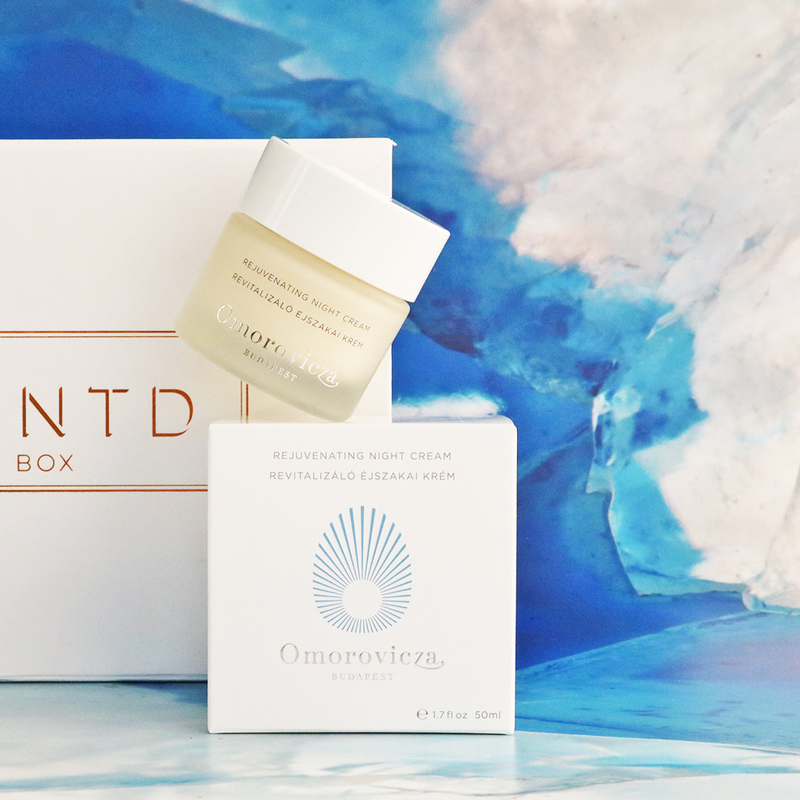 This box is worth buying for the incredibly gorgeous Omorovicza night cream alone! All the other treats are just lovely bonuses! Refreshing but gentle exfoliant. 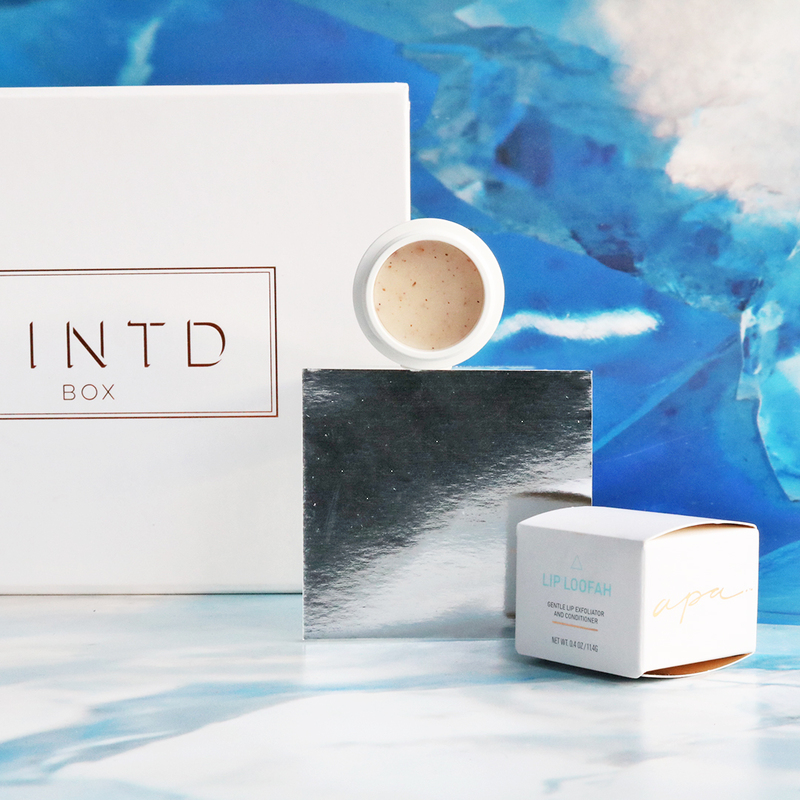 A brilliant brightening serum and a cute little lip scrub. Do not hesitate to purchase this one!